Translated by Heinz Nagel, Werner Baumann, Helga Fischer, Jesco von Puttkamer. There's no general copyright assigned. The copyright of the translation is assigned for the year 1973 to the publisher. "Printed in Germany 1973" and "Ullstein Buch Nr. 3029" is stated on the copyright page. 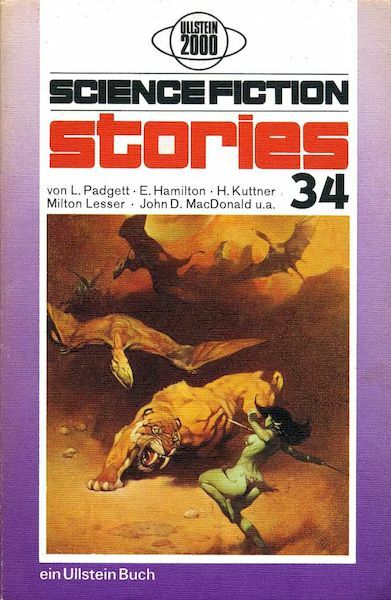 Year of publication from Science Fiction Times #134; month from the schedule for Ullstein 2000 in 1974 (two books per month). The last page of the final item (p. 128) is unnumbered.